When it comes to relationship and human connection, the common fears many of us share are around our worthiness. Am I worthy of love? Am I allowed to ask for this? Am I good enough for this position? Am I qualified enough to raise my children? When we don’t express these concerns, we aren’t ‘real’ and intimate with those we love, and it’s accompanying shame keeps us from living authentic and fulfilled lives. Social researcher and storyteller Brené Brown undertook a six-year study to better understand the nature of shame, courage, empathy, love and belonging. Throughout her focus groups and data, she found that she, like so many of her subjects, also struggled with vulnerability and the belief that she was worthy of being genuine and flawed. In this Ted Talk, she shares her incredible journey and leaves us with some gems that can revolutionise our own relationships and inner walk. We’d encourage you to watch the whole video. At 20 minutes it’s a little longer, but worth the time and effort. She is smart, disarming and funny, and you finish it feeling a little more ready to show yourself the same love you long to receive from others. Read the entire transcript on the Ted Talk site here. 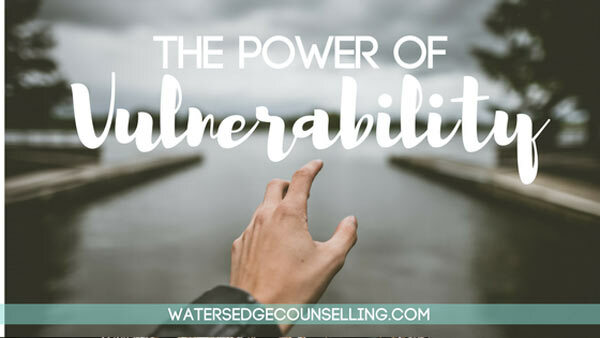 Do you want to learn more about vulnerability? Do you experience shame or live in fear that you’re not worthy of love? Here’s what you need to do: contact Colleen on 0434 337 245 or Duncan on 0434 331 243 for a FREE 10-minute phone consultation on how we can best help you, or press book now to book on our online diary.